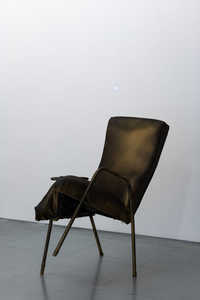 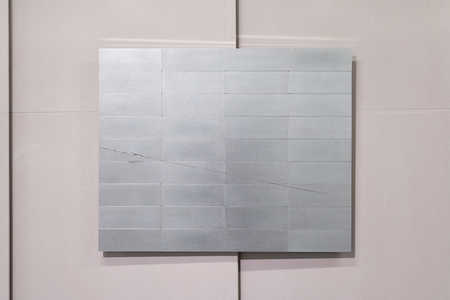 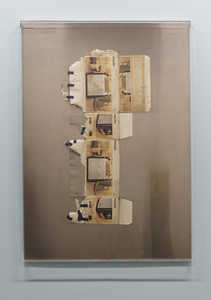 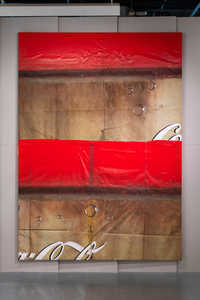 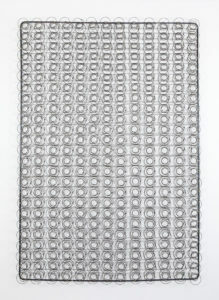 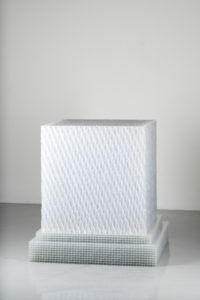 Delicately transposed, it’s the displaced materiality in Eric Baudart’s works that spurs their contemporary resonance. 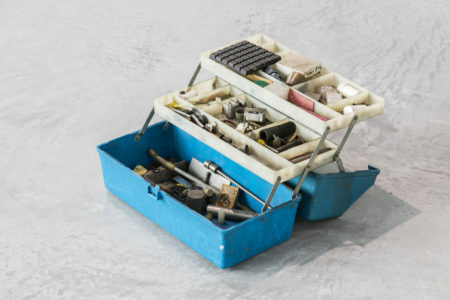 Honey-combed plastic, millimeter paper, adhesive tape – everyday, commonplace utensils are flushed of everyday contextualisation and repurposed to create oeuvres that titter on the edge of artifice. 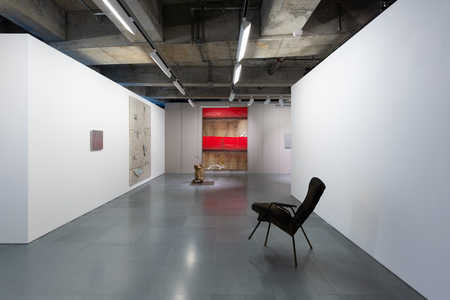 Living and working in Paris, Baudart pursues a practice that evolves from Duchamp’s readymade, whilst simultaneously devolving from it; the works or situations proposed are not mere found objects but rather reconfigured and repurposed, composed and re-choreographed materials that have been carefully assembled or moulded to mount a delicate ballet of shapes, colour and form. 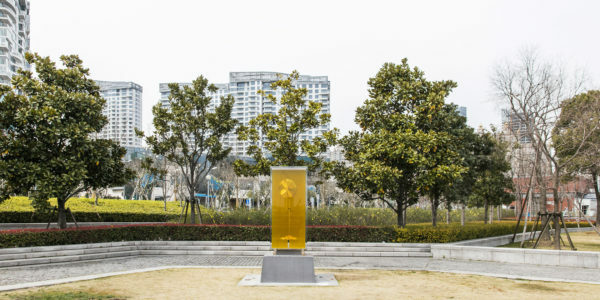 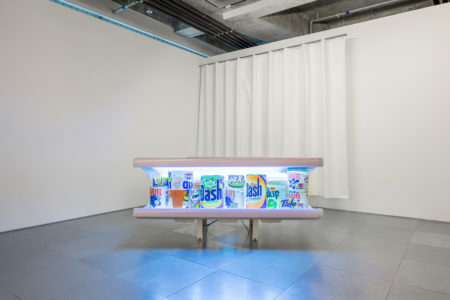 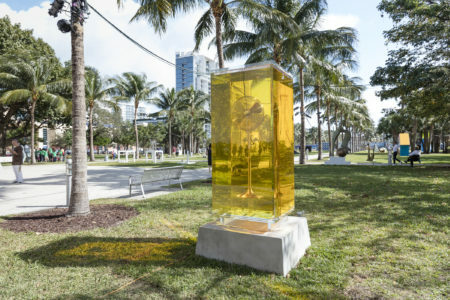 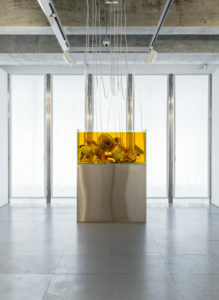 The work Cubikron 2.0 (2013), for example, stands as a clear rectangular plinth: a testimony to the adages of Antiquity, yet, simultaneously a kind of affront to its original marble materiality. 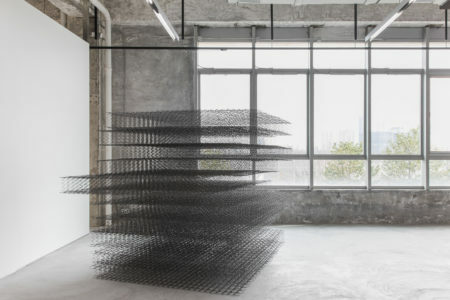 Conceived of honey-combed plastic, the medium defies the gravitas of the original, whilst offering the properties of line and oscillating light. 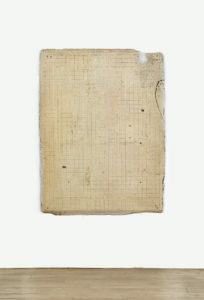 Humour, and its nascent presence, is moreover emphasised by the fiction of the title, which on the one hand derives from the Latin cubicos and on the other hand the Greek kybikós, both signifying ‘having three dimensions’. 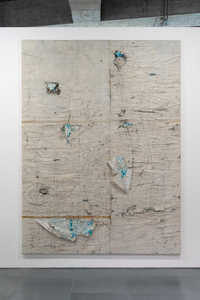 Baudart has effectively created his contemporary own; a creation that can not only stand the tests of time – and perhaps even longer than in its original conception – but also a formation that is to be viewed and observed not as a support, but as an object in its own right. 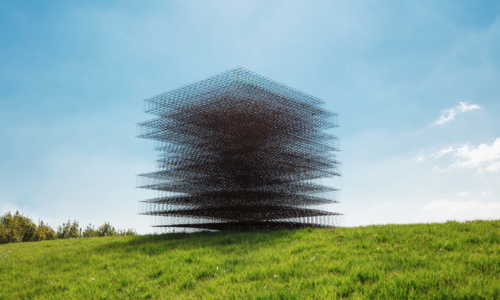 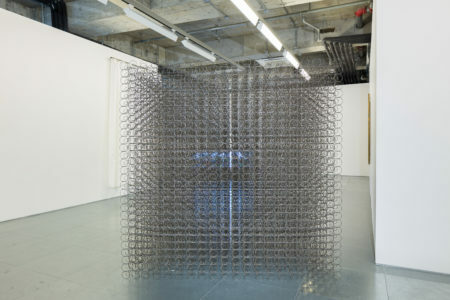 Baudart is also concerned with process; how beyond the material, its properties and original significance as well as use can be reconfigured or represented by a manner of practice. 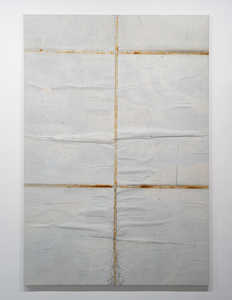 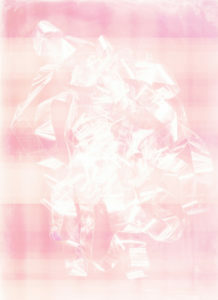 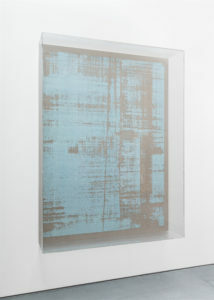 Scotch (2013), for example, presents a photograph printed on tracing paper laid on alveolar plastic. 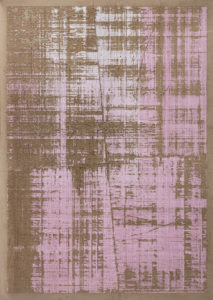 From immediate observance, however, one is not taken by this near-scientific manner of experimentation; instead one is fixated on the result, the soft pink tonal hues, which are balanced by an abstract juxtaposition of undulating lines. 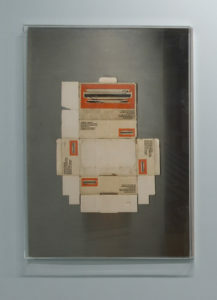 It is only after considering the title and Baudart’s witticism that one thinks of the brand of tape, so often found in classrooms and various ateliers. 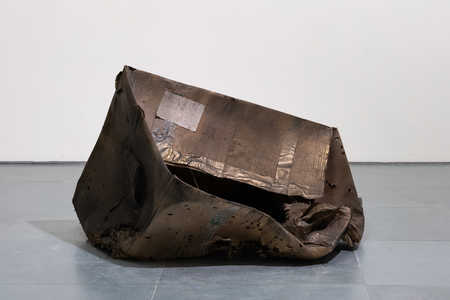 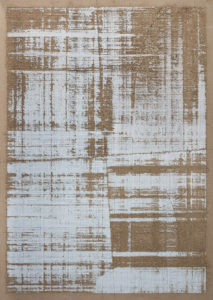 Presented here, however, Baudart has by a process of creation distracted the viewer from the material’s utilitarian source, drawing instead on its variant aesthetic possibilities. 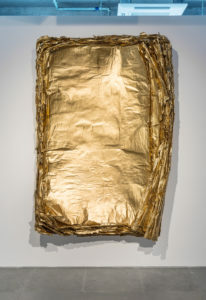 Permeating Baudart’s work is a further concern with displacement and effect; how by virtue of presentation, one’s interaction with an object can be changed completely. 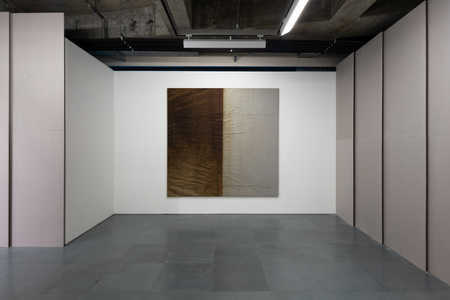 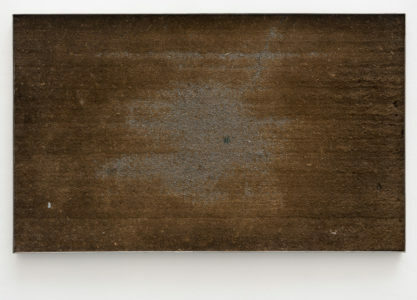 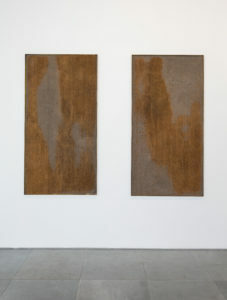 The work Vinci (2013), for example, is a sodden and textured brown doormat, yet, when transposed onto the wall and encased in a metal frame, the viewer is drawn into considering its aesthetic properties. 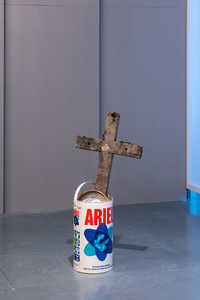 The title, which refers to one of the greatest artistic and scientific minds of the 15-16th centuries conveys again a sense of play yet, it is ultimately the alteration of context that tests the limits of objecthood. 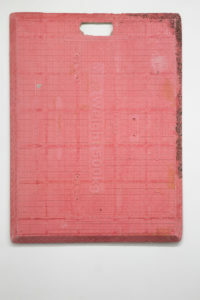 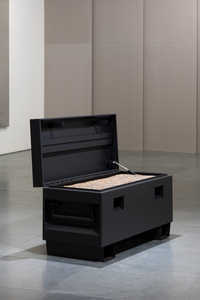 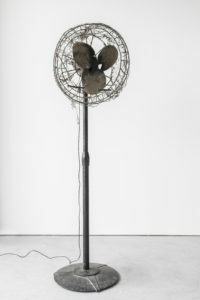 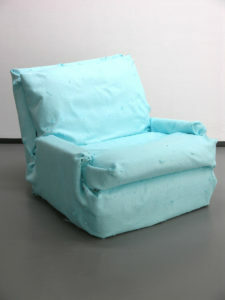 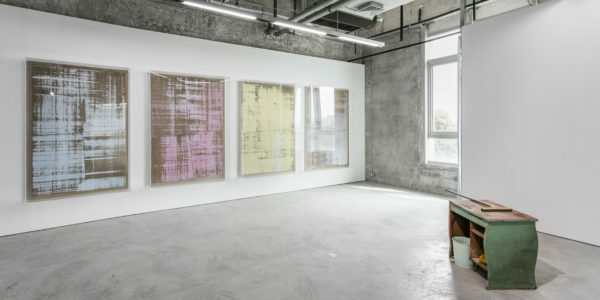 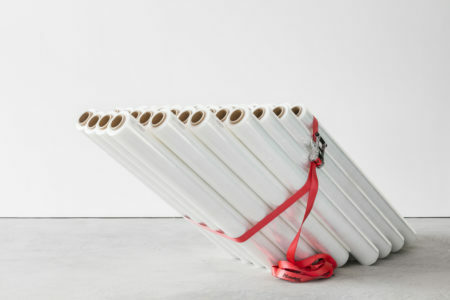 Eric Baudart has been widely exhibited internationally with group exhibitions at the MAMCO, Geneva; Le Petit Palais, Paris; La Centrale for Contemporary Art, Brussels; Bass Museum of Art, Miami as well as solo exhibitions at the Fondation d’entreprise Ricard, Paris and La Maison Rouge, Paris, amongst other locations. 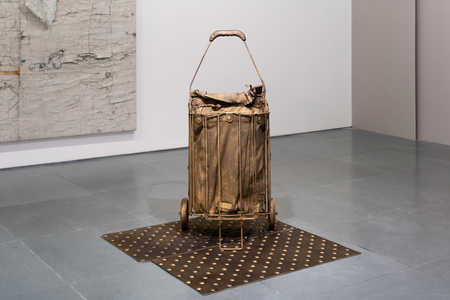 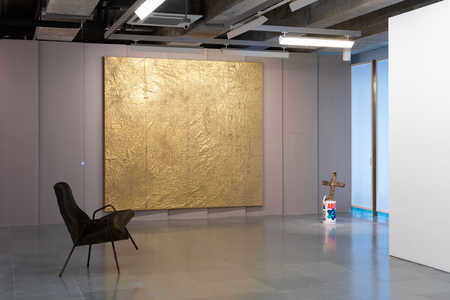 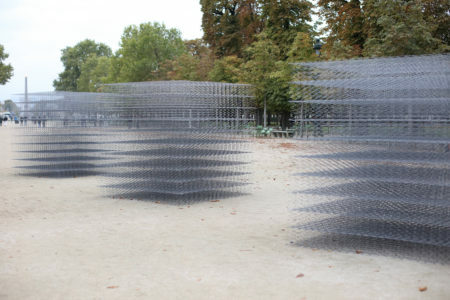 In 2011 he was the recipient of the Meurice Prize for contemporary art. 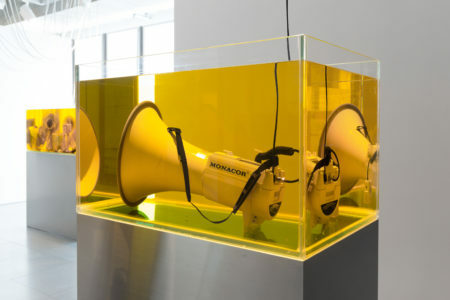 Moreover, his practice has been written about in multiple publications, including Mousse Magazine, Slash Paris and The Wall Street Journal. 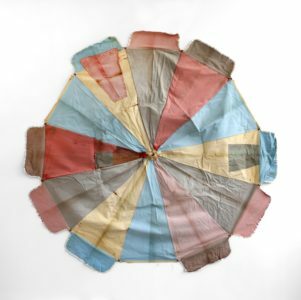 Baudart’s work is held in various notable museum collections, including the MFA, Boston and the MAMCO, Geneva.